Enjoy the cool comfort and support of Gel-infused Green Tea Memory Foam for a better night’s sleep. The Gel-infused Memory Foam and Pressure Relieving Comfort Foam provide support by conforming to the natural shape of your body. The High-density Support Foam layer provides long lasting durability and stability. This mattress is ideal for all types of sleepers and provides firm support. Please open your mattress package within 72 hours of receipt and allow 48 hours for your new mattress to return to its original, plush shape. Worry free 10 year limited warranty. Another comfort innovation from Zinus. 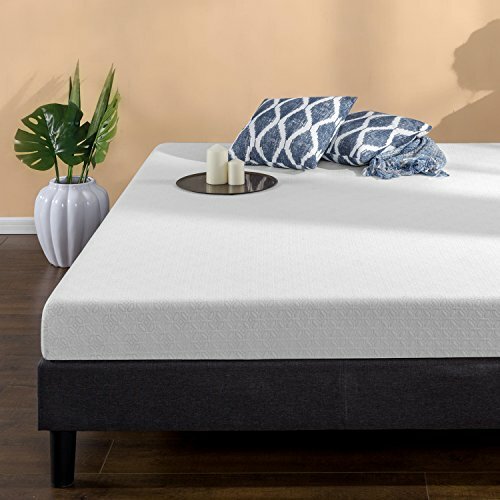 Zinus infuses its memory foam products with natural green tea extract and all natural active charcoal to help absorb moisture, eliminate odors, and keep your mattress fresh.